If you disable start up programs in Windows, it helps your PC boot faster. The same holds true for a Mac. 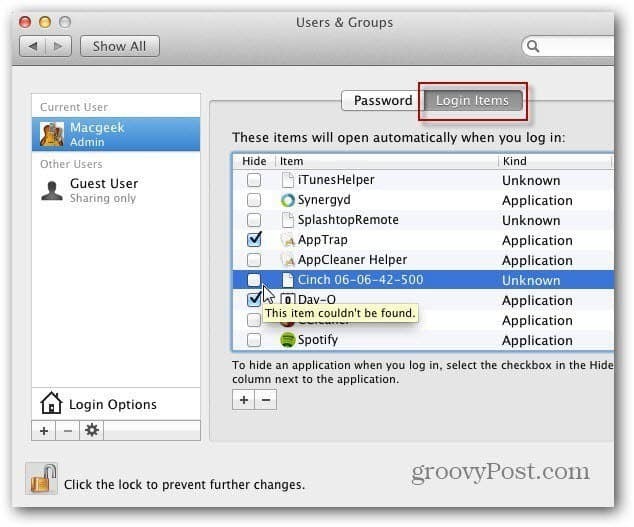 Here’s how to disable and manage login items in OS X. If you’re Mac isn’t booting up as fast as you’d like, it’s easy to disable startup items. 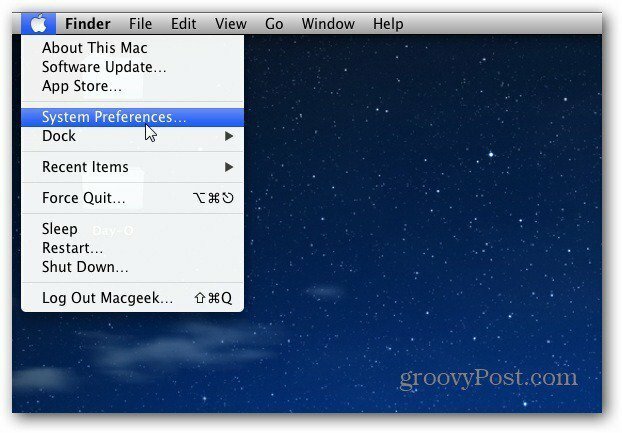 Just like disabling startup items in Windows, you can do the same in OS X. Here’s how. 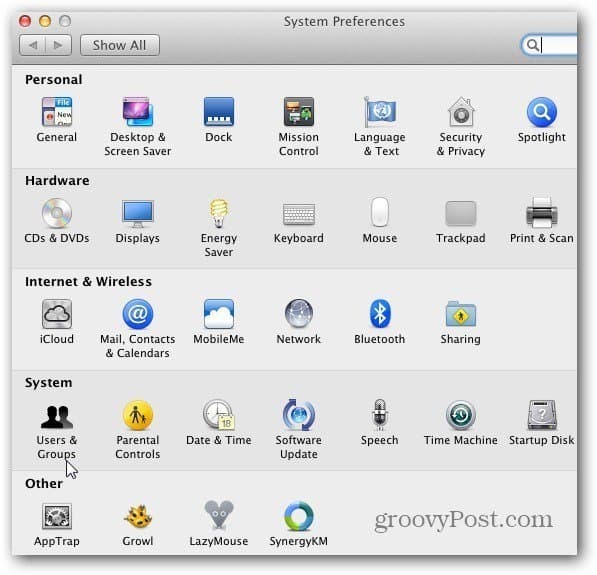 Click the Apple icon on the menu bar and select System Preferences. The System Preferences screen opens. Under System, click Users and Groups. Users & Groups opens. 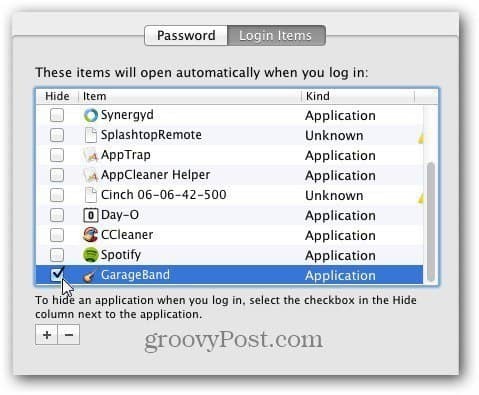 Click Login Items and uncheck each of the programs you don’t want to launch during startup. 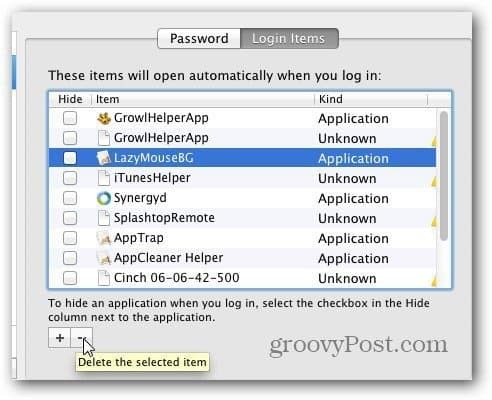 To remove an item from the Login Items list, highlight it and click the minus ( – ) button. If you want to add a Login Item, click the plus (+) button. 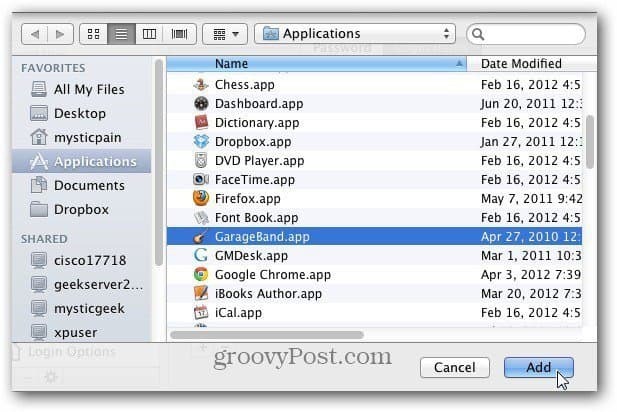 Then pick a program from the Applications folder. Click Add. Here I added GarageBand. Adding a program will let you check it to run at Login if you want. After removing Login Items, the next time you reboot your Mac – it will boot up faster.